You can rely on Mark R. Lewis, PC to provide the expert counsel you need. 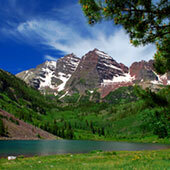 Clients throughout the Colorado area have relied on our expertise and experience since 1978. There is no substitute for enlisting the aid of a competent, professional law firm to guide you through the intricacies of the complex legal system and to advocate on your behalf. You will find that our commitment to quality representation begins with prompt responses to your inquiries, complete explanations of your choices and thorough preparation of your case. When the time comes to make legal decisions that will affect your future, you can rely on Mark R. Lewis, PC to focus on your needs and goals and to represent you aggressively, fairly and ethically. 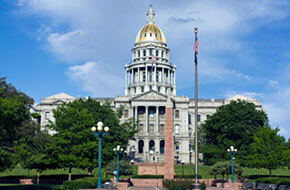 Our track record and reputation for excellence in Colorado has grown out of our dedication to building long-lasting client relationships. Persons contacting Mark R. Lewis PC through the Internet e-mail facility provided through this site should not send confidential, privileged or sensitive information, and should not ask specific legal questions by e-mail without first speaking to a specific attorney. To be contacted by an attorney you may provide information about the general nature of your inquiry, without providing any confidential specifics. If the matter is very time-sensitive, please telephone a lawyer at our office. Please do not consider there to be any attorney-client relationship between you and Mark R. Lewis, PC or any of its attorneys unless or until: (i) you have sought to retain us; (ii) we have had an opportunity to check and clear any conflicts; and (iii) you have received a letter from us confirming the retention and its scope. Call (303) 745-5200 today for a free initial consultation. Contact us for details. Mobile consultations are available under certain circumstances.